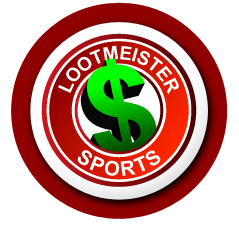 Welcome to the Lootmeister baseball betting tips page! Here you'll find a collection of articles giving tips that are sure to help increase your odds of beating the bookie! These articles were written by winning MLB handicappers who bang out long term profits, sometimes in the most unconventional ways. Baseball betting presents a plethora of opportunities over the course of the long season (April through October) and should be approached with the long term in mind. It's a grind and tremendous opportunity to make money as it offers something that most other sports don't... the ability to come out ahead by hitting less than 50% of your picks! This is due to the lack of a point spread and the bets being offered at odds. Betting MLB underdogs (and winning) pays out more than your lay (risked) amount! You've got to be super selective though in what you bet. Avoid big favorites with large lays and reap the benefits with short underdogs! You'll be so glad that you did! Listed below you'll find a collection of articles. Please bookmark this page and check back every few months as we're constantly adding more baseball betting tips! Other than picking winners, the most important thing when it comes to baseball betting is pricing of odds. Not all sportsbooks are created equal! Some bookies offer cheaper odds on favorites and bigger payouts on underdogs. This all equates to less risk. Less risk equates to bigger profits. Dump your bookie today and take advantage of reduced juice sports betting at the web's best sportsbook: 5Dimes. The Extra Challenges of the Modern MLB Bettor - In the old days, when you bet on a baseball team, you knew the starter would either finish the game or come close, unless he got hammered. Nowadays, a third of the game will be in the hands of a pitcher with whose identity we are uncertain. In this article, Loot talks about the evolution of the use of pitching staffs and how it has affected the betting of baseball, namely how we are betting more into the dark than those who bet on baseball in the old days. Click here to read! Don't Be Mad If You Lose Bets - In a season where there are 162 games and where the best teams can lose 60 or more games, there is no such thing as a "lock" in MLB betting. In other words, losing bets is an unfortunate feature of baseball wagering. In this article, Loot offers some insight and advice on how to perceive MLB betting and how to mentally absorb the losses. Anyone can handle winning, but how you handle defeat will likely determine if you're cut out for making it in MLB betting. Click here for more! Tricks of the Trade - As we become more adept at baseball betting, we start to develop more and more advanced theories and perspectives on how to beat the bookie. One risk we run is losing sight of some of the basics. In this piece, Loot examines some of the more basic and easy-to-do tricks that we can wield against the bookie. Click here for more! Adding Layers to Your MLB Handicapping - When betting on baseball, we can all tend to get a bit lazy, while getting lost in the sheer amount of games, with their being 162 games in a season. Loot offers his guidance and explains how we can't afford to get lazy and rely too much on intuition. We need hard data and information and that takes hard work. Loot breaks down the proper approach we need to establish and sustain in order to succeed in MLB betting. Click here! Key Elements to Baseball Betting Success - So many baseball bettors get derailed and lose track of doing the things that give them a shot of winning and collecting from their bookies. This article highlights often forgotten about variables such as keying on underdogs, not paying so much attention to opinions, avoiding sucker bets that reduce your chances of winning and making sure that you're getting the best price. Listening to Your Inner Voice - This article has less to do with the more technical aspects of MLB wagering and more to do with the dynamic of your inner voice. It's hard to explain with words because this voice can often be more of a feeling. It's the same feeling we get when we have a good or bad thought about something and you will see this come up when betting on baseball games. Loot breaks down how to come to terms with the inner voice when wagering on America's favorite pastime. Click here! Things You Want From Your Sportsbook When Betting Baseball - Not all books are the same. There are some common threads, but things can differ a lot from book to book. When betting on baseball, it's important to have a book that matches your needs as a bettor. In this article, Loot breaks down some of the more pinnacle concerns we should have when selecting a sportsbook to handle out MLB betting action. Click here! Having What it Takes to Thrive In a Long Season - Loot gives tips on how to endure the long season called Major League Baseball. He points out that even the best go through high's and low's and gives advice on how to deal with such occurences. He preaches that the game is constantly changing and you need to be able adjust on the fly to compensate for that change. Avoiding What the Bookie Wants You to Do - There are a number of things that will make your bookie smile and cause you to kill your chances of winning at baseball betting. Loot highlights a few of those including avoiding big favorites with giant odds, parlays bets or acting like a guy who's in Vegas for two days on his once a year bender. Wagers We Should Utilize More - Loot talks about lesser known and less popular bets that we should all be using more. Namely the "first 5 innings" bet which puts more emphasis on known variables rather than a full game wager which a bettor is subjected to a team's bullpen which is always a question mark. Avoiding Bad Odds by Line Shopping - This is a vastly overlooked facet of baseball betting. It ranks up there in importance with picking winners and bankroll management. If the same product costs $110 at one store and $105 at another, a wise person would surely shop at the cheaper option. So why aren't you betting your games at the best possible option? This is a must read article that will change the way you bet on sports forever. Listed Pitchers vs. Action - Know the difference! ALWAYS specify your starting pitchers or you could get burned! Pitching changes aren't common, but they do happen. Imagine backing a rock solid starter only to find out that he was replaced by a gas can middle reliever! Know the difference and always specify! You're bankroll will appreciate it! When Sugar Turns Sour in Baseball Betting - We've all been there! Everything we touch turns to gold! Ever have a nice fat winning streak and then completely fall apart? There's a good chance that the reason for such was that you changed your handicapping approach. In this article, Loot talks about all of the potential issues that may have arose to cause the bottom to fall out.